Over the past six months, I’ve journeyed to the distant land of Singapore University of Technology and Design (SUTD) numerous times as part of an exchange between SUTD’s Multiverse Arts magazine and The Octant. Features editor Nicholas Lua ’19, and Multiverse editor Nabila Larasati thought it’d be novel for a liberal arts student to write about a technology and design school and vice versa. Much to my surprise, I found SUTD to be very similar to Yale-NUS College. It seemed like a funkier version of our liberal arts school. Perhaps, even siblings separated at birth. Well firstly, SUTD is established in collaboration with Massachusetts Institute of Technology (MIT) (just like how Yale-NUS is a collaboration between Yale and NUS), with a focus on an integrated multi-disciplinary curriculum (multidisciplinary—wonder how many times I’ve come across this word here at Yale-NUS), in hopes of “embracing the best of the East and West” to “drive knowledge creation and innovation” (in Asia, for the world!) Just like Yale-NUS, SUTD has a holistic admissions process and is a relatively young University. 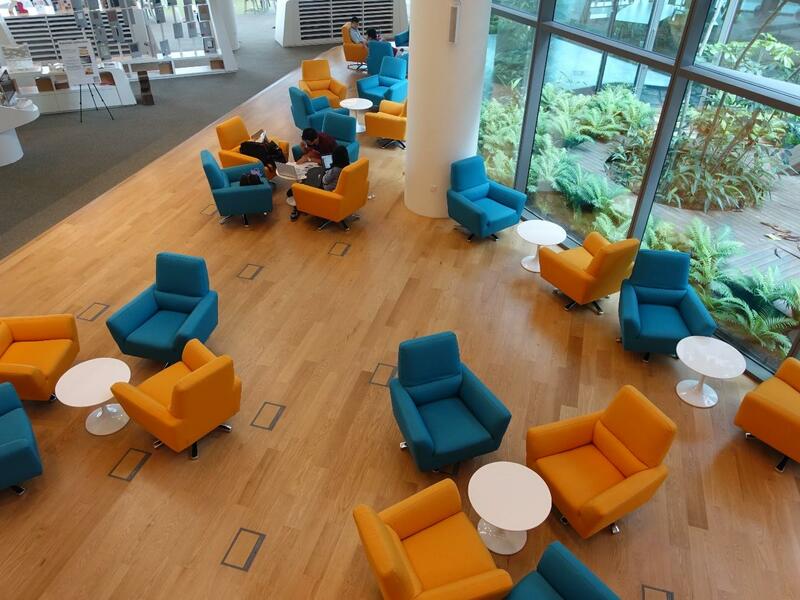 SUTD began at an interim campus in 2012 before finally moving into their new campus near expo in 2015. Also, SUTD has a relatively small school population with a first intake of 318 students and an intake of 467 last year. Sounds somewhat familiar? Over a three-part series, I will write more about the similarities between SUTD and Yale-NUS, and the unique encounters I’ve had during my visits there. I hope you’ll find it interesting. They have an equivalent of a Common Curriculum. 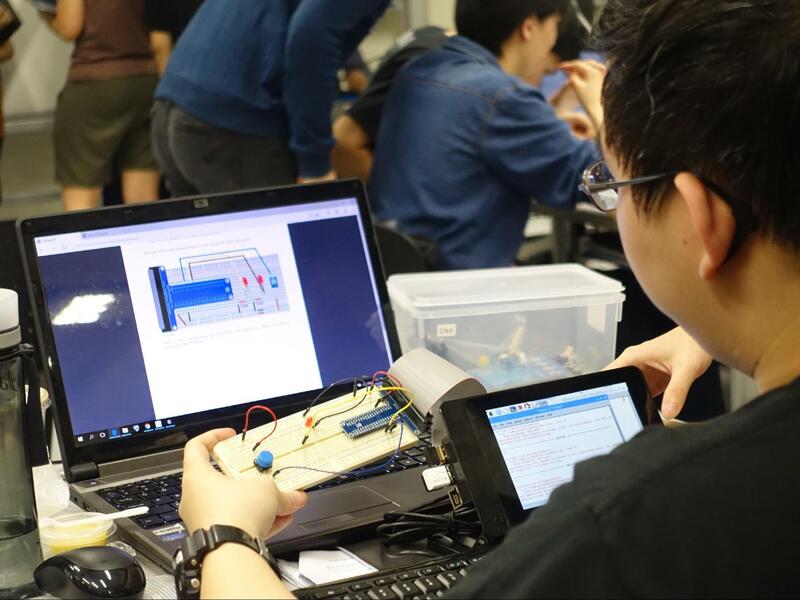 In their first three “freshmore” terms, SUTD students are required to take common curriculum classes in Science, Mathematics, Design, Programming and Humanities, Arts and Social Sciences (HASS). Common curriculum HASS classes include courses like “World Texts and Interpretations” and “Theorizing Society, the Self and Culture” that go through an extensive list of thinkers such as Adam Smith, Karl Marx, Emile Durkheim, Sigmund Freud, Erving Goffman, Max Weber, Clifford Geertz, Michel-Rolph Trouillot, Ibn Tufayl, Confucius, Meng Zi, Rene Descartes, Mahatma Gandhi, Fatimah and so on. Doesn’t this sound very much like a remixed version of our PPT and MST classes? On top of that, students are required to take at least one HASS module every term. Students only begin specializing in one of the 4 pillars of study from term 4 onwards. The 4 pillars are: Architecture and Sustainable Design (ASD), Engineering Product Development (EPD), Engineering Systems Design (ESD) or Information Systems and Technology Design (ISTD). Curious to see what some of the common curriculum and HASS classes were like, I visited a Coding class and a Rice Cultures class. Standing in the middle of Coding class, surrounded by whiteboards of factorials/ alien language written all over in blue ink, tables cluttered with wires and intricate looking tech boards (which I came to learn was called a Breadboard—something that enabled a Raspberry Pi to work??) and students going off about Python and blinking lights, I was greeted by a very stereotypical view of what SUTD would be like. One of Kloo’s friends working on his Bread Board and Raspberry Pi. “It’s a mess. Everyone’s doing their own thing don’t mind us,” laughed Keith Teo, affectionately known as Kloo, one of the writers for SUTD’s Multiverse arts magazine. He got up from a bowl of noodles which he very graciously packed from the school canteen to eat in class. Dubbed as a “Hackerman” by one of his classmates, I followed Kloo around as he helped his friends out with their Raspberry Pis. It seemed as though coding, something thought of to be very individualistic, was something very collective here. I didn’t understand what was going on but I enjoyed being in that environment, where students were animatedly jabbing away at each other’s keyboards and wires, trying to help each other get the red lights on their Bread Boards to blink. The professor was running about trying to help as many of the 40 students as possible. Tech assistants on the other end of the classroom were also doing complicated things with complicated looking apparatuses to help the students out. It was all very new and very amusing to watch. Next to the classroom was a place called the Think Tank Room- a place for students to isolate themselves for a quiet place to think when needed. I swear I saw a mattress in there. Before I entered this world of students and wires, I found myself in a HASS class on Rice Cultures. I awkwardly followed a friend in and explained to the Professor what I was up to before joining one of the round-tables of students. This felt strangely familiar: a class of no more than 20 plus students, seated in a way that was poised for discussion, breaking out into discussion every once in a while, with the occasional personal attention from the Professor. I was introduced to terms like “etic” and “emic” and a reading on Geertz which I’ve coincidentally read in my previous Southeast Asian Culture and History class. Unexpectedly, the class then took an interesting twist, and began to take the ‘science’ in social science rather seriously. I wasn’t expecting to hear terms like “hypothesis”, “variables”, “control groups” and “electromagnetic waves” in a humanities class but there we were, trying to formulate hypotheses and variables to test that would make rice grow well, for an experimental project each group had to take on for this class. Some students brought in their architectural knowledge (i.e. how to design acrylic roofs for their mini rice field) and others brought in knowledge from Physics about light waves and electromagnetic waves. Interdisciplinary? Check. It was kind of like a remixed version of our Foundations of Science (FoS) classes. I really liked it. There were no awkward silences when the Professor asked a question. There were spontaneous responses, an occasional local joke, eager sharing and input, and lively group discussions. I’m guessing that not every HASS class is like this, but if it were, I’d love to have some of my classes here. 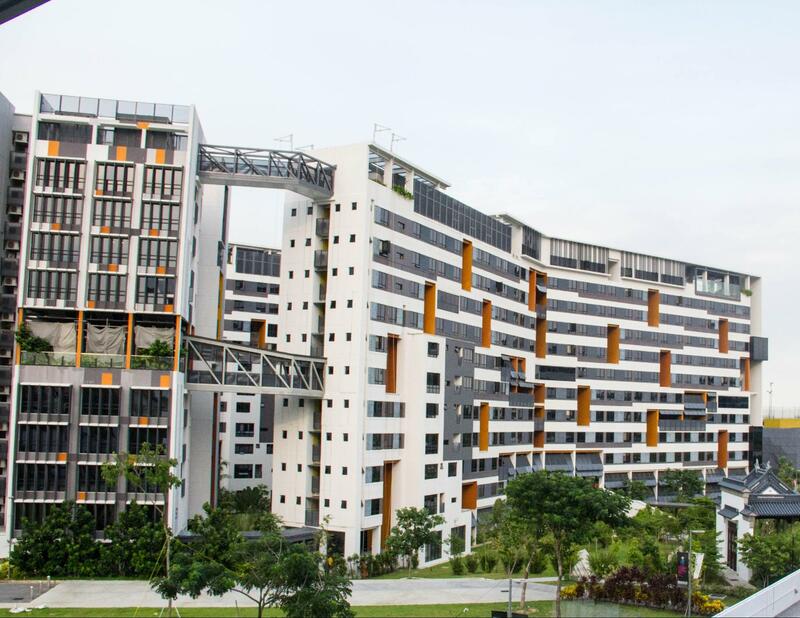 A sneak peek of next week’s article: SUTD’s student housing. That’s it for part 1. Join me next week as I tell you more about SUTD’s equivalent of a residential college system, and how their quirky small school culture is somewhat similar to ours.